Welcome to ACE Printing Solutions! ACE Printing Solutions can provide all your printing needs in just one place! We specialize in silkscreen printing with complete lines including conveyors and dryers while we are also involved in the evolving field of digital printing. 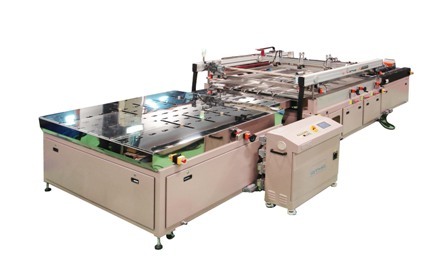 ACE is currently the exclusive supplier of new ATMA presses for United States and Canada. We provide full machine customizations to fit specific screen printing requirements, technical assistance for any operating issues regarding ATMA screen printers, and can also fulfill your spare parts needs for your current ATMA presses with quick turnaround time. Whether your project is implementing a full production line in a factory or just starting your own promotional printing business, make your one place ACE! ATMA is a proud name of excellence and quality from Taiwan that manufactures screen printing as well as auxiliary equipment for over 3 decades now. 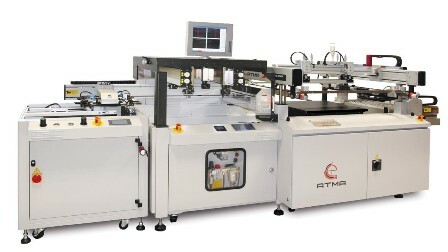 They address a broad spectrum of screen printing needs that include traditional graphics, printed circuit boards, glass, opto-electronics, high-end biotechnical products and solar wafers. 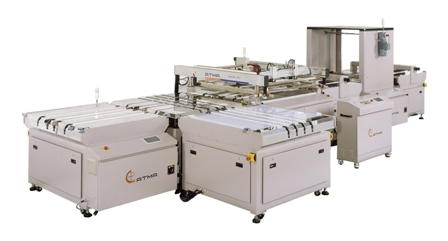 ATMA's self-developed screen printers with optional functions can be customized to fulfill various specifications and applications. 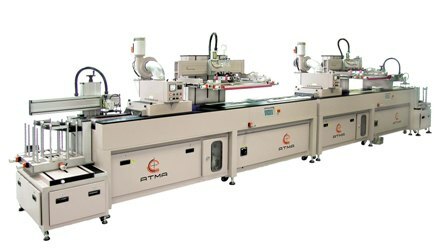 Since 2006, ATMA has been a certified supplier of Apple, Inc. and currently provides the screen printing equipment for them to manufacture the new iPhones and iPads in China. With thousands of ATMA printers in operation today in the North and South America, ACE Printing Solutions is also the sole supplier that can provide the needed spare parts swiftly to prevent downtime during your production. ACE WOULD LIKE TO REPRESENT YOU! We are looking to expand our product offerings and extend our technical expertise into more printing fields. ACE Printing Solutions has developed a wide network in the printing industry over the last decade and a half and would like to represent your company as a reseller to ensure your products are reaching the right customers, especially for international manufacturers targeting the American market. Please contact us as we look forward to discuss more about this opportunity!